About Us - Ram Tool Inc.
What started out of a 2-car garage from the home of Roy and Arlene Kannenberg with the single purchase of a lathe for Roy to make snowmobile parts in his spare time back in 1976. Those parts were initially never made until 30 years later, as word of mouth spread quickly that Roy had purchased the lathe and before it was ever delivered he had orders coming in from local companies to make core pins…. and RAM Tool was formed. Roy continued to work part-time on nights and weekends for 3 years before he out grew the garage and required additional space. Roy moved his operations to a manufacturing site in Cedarburg in 1979, quit his full-time job, and RAM Tool became incorporated. Core pins were now only a small fraction of the business. 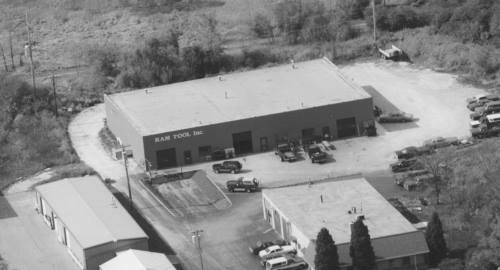 In 1995 RAM Tool had once again outgrown its current home and relocated its business to the Grafton Corporate Park. When making the move, they tripled their space and doubled their workforce. 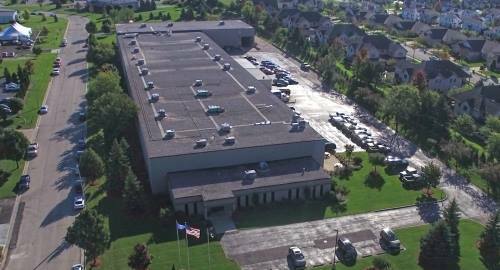 In mid 2005 RAM diversified their company and went into prototype tooling and custom machining as well. RAM Tool has continued to grow and evolve through the years to keep up with the demands of customers, completing 4 additions at their current location to operate out of a state of the art 80,000 sq. ft. facility. Roy & Arlene’s son, Mike grew up with the business and had been a part of the family business from the very beginning, from pushing a broom in the early years, to serving his apprenticeship as a tool & die maker to leading the company. Their daughter, Michelle joined the family business in 1989 after gaining financial background in the banking industry. Now with the family’s third generation contributing to the business, RAM Tool is prepared to be an industry leader for decades to come. 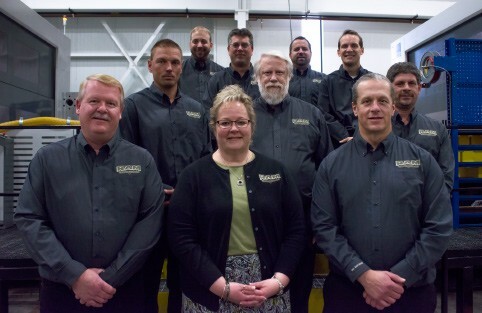 Today RAM Tool is steered by it’s Executive Team of Michelle, Michael, and Dennis along with their Management Team, which have a combined 190 years of experience. Setting the standard in a competitive industry. A business that specializes in the building of aluminum and zinc die cast dies, we are also a proven industry leader in manufacturing as well as machining of large weldments and forged material. RAM Tool has the distinction for doing the job right the first time, exceeding our customer’s expectations, to deliver a quality built tool and part ready for production. We assure this quality with the most advanced technology and equipment along with a knowledgeable workforce to set the standard in a competitive industry. Since Roy started out of his garage in 1976, RAM Tool has had a progressive approach to detail and a slogan, “When you’re in a jam, see RAM” which is a tradition that is still applied today. We take pride in being a full-service facility that is your single source from start to finish. Our focus on quality workmanship, in addition to our fine attention to detail, will give you peace of mind knowing your job is in the best hands possible. State of the art equipment and a highly experienced workforce allow us to exceed expectations on every job we complete. Our employees take pride in their work, knowing they make a high-quality product that will stand the test of time.